Even blatantly racist cops are still only operatives in a larger racist system. The officer responsible for this racist line of questioning, Philip Nace, was recently placed in the Differential Police Response Unit, a disciplinary unit, for what a police spokesman called “idiotic behavior” after another video surfaced of him knocking down a basketball hoop and, while driving away in a police van, telling the group that was playing “have a good day.” He is being investigated by Internal Affairs. 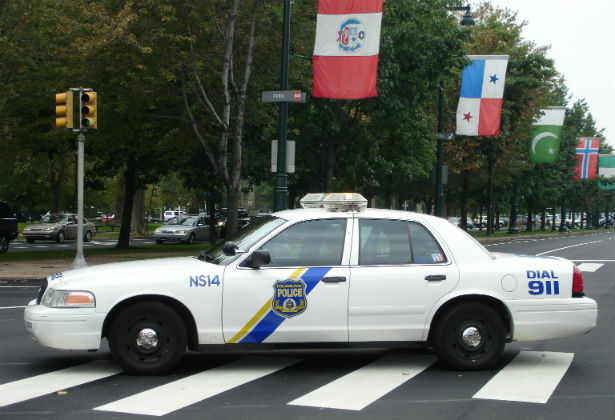 The problem is, as badly as Philadelphia police may want to isolate Nace and his poor behavior, this isn’t the result of mistakenly hiring one racist cop. This is a racist policy supported by a racist society doing exactly what it was designed to do. Had Nace used softer language, had he asked politely and said “please” and “thank you,” he still would have stopped, searched and collected information on an innocent person for having done nothing more than speaking to someone he passed on the street. Because that’s the policy. Philadelphia’s use of stop-and-frisk doubled in 2009, two years after the election of Mayor Michael Nutter (in case anyone were led to believe it’s only white mayors and police commissioners responsible for implementing this tactic, both Nutter and Commissioner Charles Ramsey are black), and in a similar fashion to what has recently happened in New York City, it was challenged in court and the city agreed to make adjustments to the policy. However, it still exists, and still disproportionately targets black and Hispanic men. And one can’t divorce this from the fact that school budgets, affecting mostly black students, have been slashed, while hundreds of millions are being poured into a new prison facility, or the youth curfew that was implemented a few years ago. Through colorblind language, there exists a concerted effort to criminalize the presence of black and brown youth in public and shuttle them off to bigger, shinier prisons. They can discipline Nace, even remove him from the force (and they should), but his actions are only a symptom of the larger disease. The more we focus our energy on the Naces of the world, the further we get from a cure. Mychal Denzel Smith has previously argued that institutional racism persists in the criminal justice system with or without stop-and-frisk programs.